You might pick up that documentary with good intentions, but it's the mindless action movie that will be first in the DVD player, according to new research. Using data gathered from a study of online DVD rentals, researchers from Harvard Business School have proved what we suspected for a long time: everyone loves a bad film. The scientists noted the discs users put on their future lists, then tracked how long it took for them to watch and return each film. They found that most users rated high-brow films like documentaries and world cinema towards the top of their preferences, leaving the thrillers and rom-coms languishing towards the bottom. But when it came to actually watching the DVDs, users tended to return the low-brow films first and hold on to the more challenging films for longer. 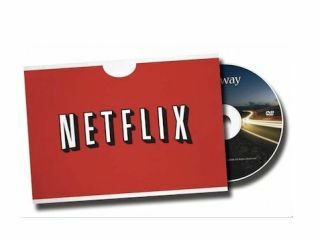 The authors think the research could help online DVD rental companies like Netflix predict demand for different types of film - ironically, they may need more copies of worthy but dull films that people hold on to for longer periods. However, the longer a customer has been renting online for, the more they appreciate highbrow films. As they get more familiar with online DVD renting, people tend to hold on to all films for around the same time.